Our busy 24/7 lifestyles lead many of us to feel that we are constantly “catching our tails” with permanently high stress levels, and our bodies in “fight or flight” mode. Not only is it not pleasant to feel permanently stressed, it is also linked with numerous health problems, not least a weakened immune system and longer terms can lead to anxiety and depression. So finding ways to decrease the negative impact of stress on our lives is imperative. One way to quickly reduce stress in a highly charged situation is to practice abdominal breathing, otherwise known as diaphragmatic breathing. Deep abdominal breathing works by full oxygen exchange, which is the trade of incoming oxygen for outgoing carbon dioxide. This helps to slow the heartbeat, stabilise blood pressure and evoke a sense of control and relaxation. 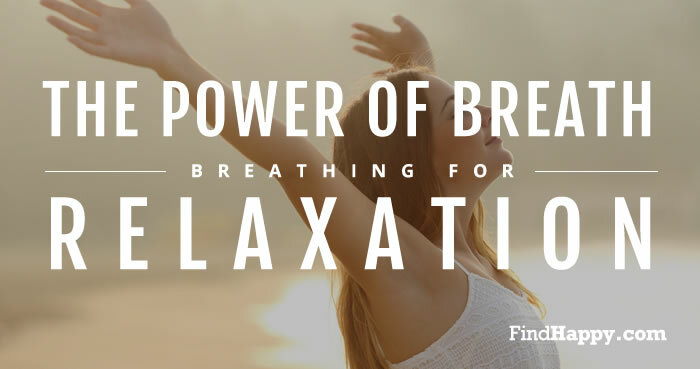 To try deep belly breathing, find a quiet spot and start by taking a few normal breaths. Then when you are ready, try taking a deep breath, breathing in slowing through your nose, allowing your lungs and lower belly to rise, relaxing your stomach muscles. Then slowly breathe out through your mouth and repeat. When you first start practising deep breathing, it may feel odd, as we are so culturally used to holding in our stomach muscles and breathing from the top of our lungs. But you will quickly experience the benefits. As you become more practised at abdominal breathing, you may wish to combine this with mindfulness meditation practice, or physical practice through yoga.